Eyvonne Lillywhite Rohner of Mesa, Arizona, passed away peacefully on January 12, 2018, at the age of 92 after an extended battle with Alzheimer’s. She was born to LeRoi Orwin Lillywhite and Cleopha Thomas Lillywhite on March 6, 1925 in Garland, Utah. She was the fourth of five children. Eyvonne attended Inglewood High School where she met her high school sweetheart Cal V Rohner. They were married on September 18, 1944 in the Logan Utah Temple and were blessed with five children: Kent (Vyonne) of Mesa, Tim (Heather) of Mesa, Kelli Jager of Henderson, Nevada, Cal Wayne (d.) (Becca) of Gilbert, and Shane (Lorie) of Mesa. She has 27 grandchildren and 78 great-grandchildren. She is preceded in death by her husband Cal, one son, Cal Wayne, a daughter-in-law, Jamie Anderson Rohner, a son-in-law, Ben Jager and a great-granddaughter, Holly Heap. She was the last surviving member of her immediate family. Eyvonne and Cal raised their family in Inglewood, California. They had many near and dear relationships with friends there. She enjoyed memorable outings with her family camping at Twin Lakes in the High Sierras, and Yosemite. Eyvonne was blessed with a beautiful singing voice and a love for music. She sang in church choirs as a soloist and participated in musicals in her local congregation along with her husband Cal. She loved to attend sporting events to watch her husband, brother, children and grandchildren as they participated in basketball, football, softball, and baseball. In her later years she loved to collect dolls and sports memorabilia, which she readily shared with her grandchildren and friends. 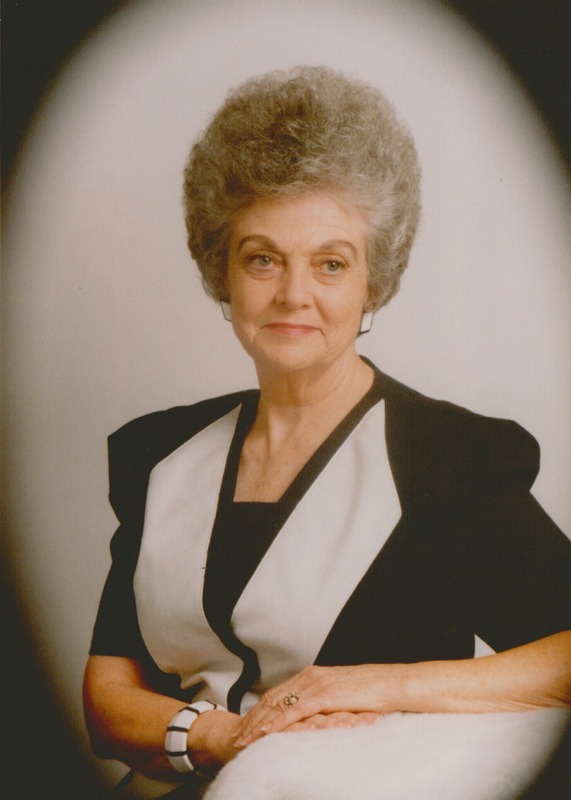 Eyvonne enjoyed working in all of her church callings and was fond of writing letters, notes and birthday cards to missionaries and acquaintances throughout her life. Her grandchildren will forever remember the famous “treat” baskets she delivered on their birthdays. She was a devoted wife, mother, grandmother and friend. A visitation will be held Thursday January 25, 2018, from 6-8PM at Bunker’s Garden Chapel at 33 N Centennial Way, Mesa, AZ 95201. My deep condolences to the Rohner family on the loss of your precious loved one. My you find some comfort in the Most High God’s written word the Bible. 2 Timothy 3:16 and Psalms 83:18. He is a God of comfort.